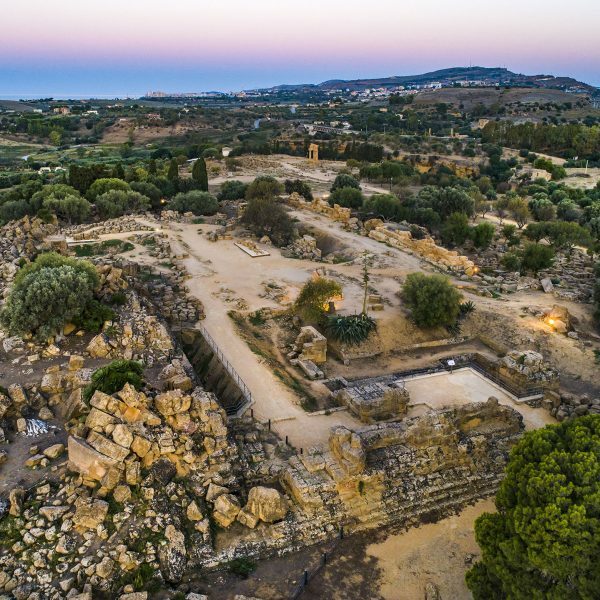 The Temple of Hera Lacinia (Juno) is located on the highest rocky spur of the Valley of the Temples at its easternmost point. 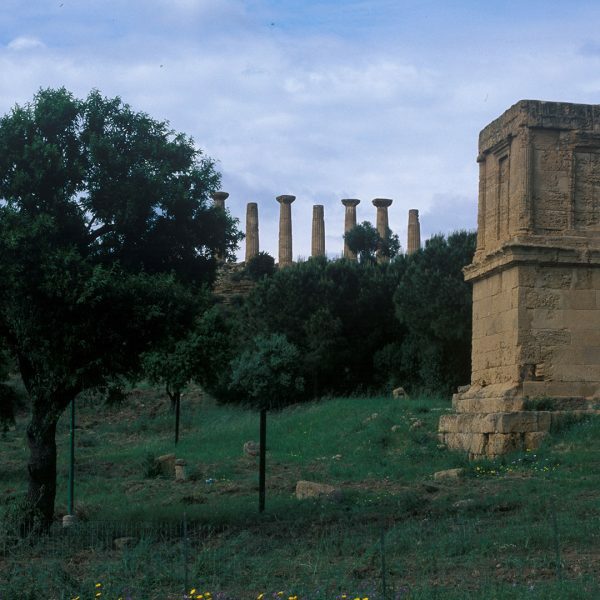 The so-called Temple of Concordia is one of the best preserved temples of Greek antiquity. 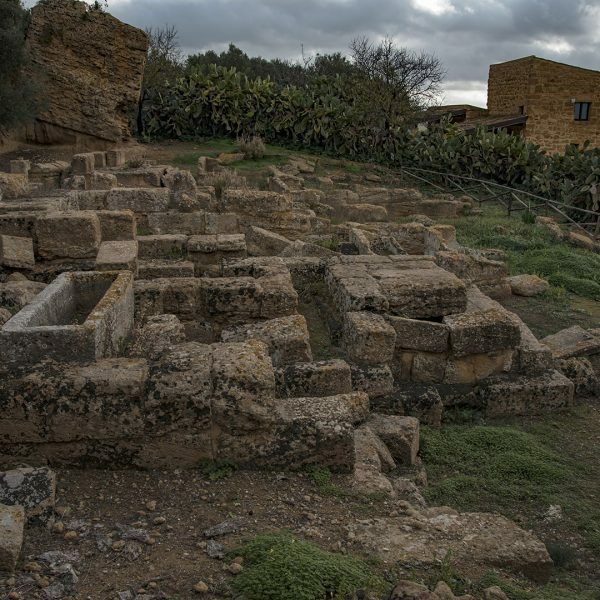 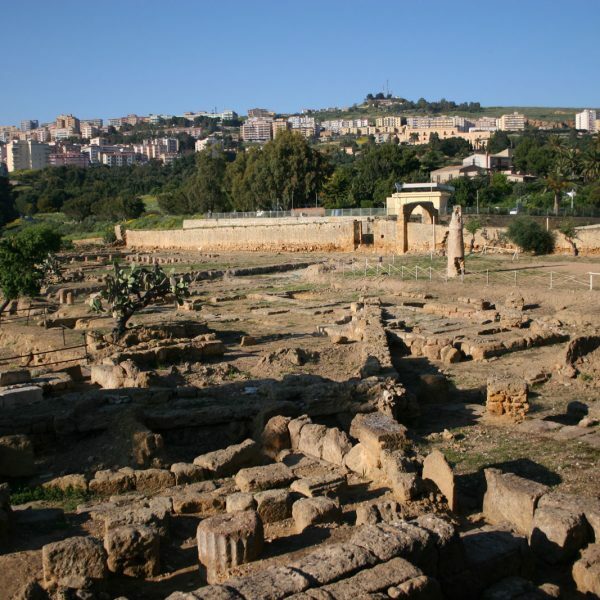 The Paleo-Christian Necropolis of Agrigento dates to the third to sixth century AD and extends across the Collina dei Templi roughly between the Temple of Hera Lacinia (Juno) and the Temple of Heracles. 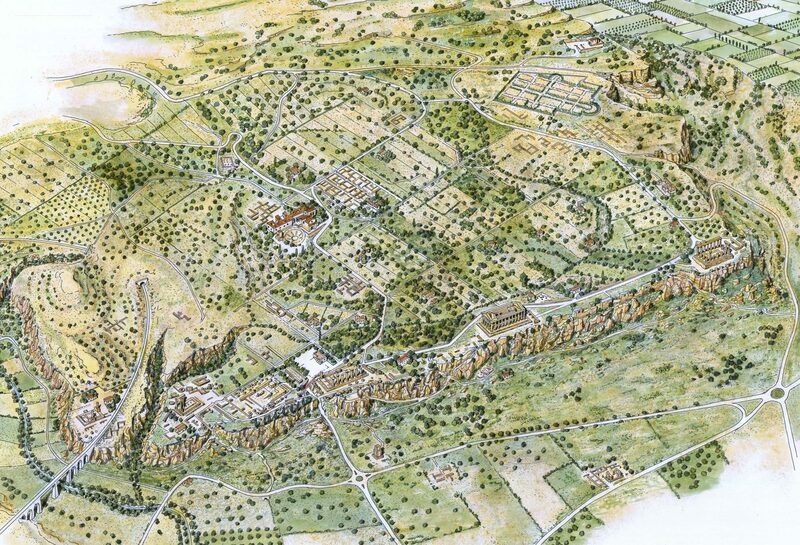 The vast burial ground is divided into various sectors. 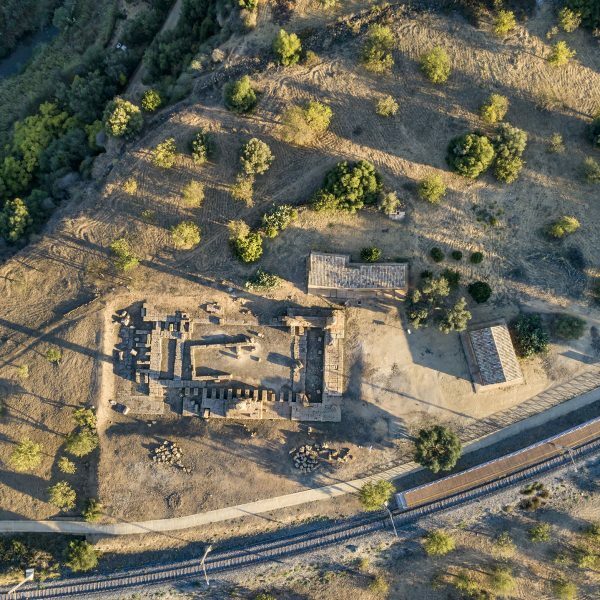 This temple devoted to Asclepius (Greek God of Medicine and son of Apollo) is located around 900 metres south of the outer wall of the ancient city on the San Gregorio plain. 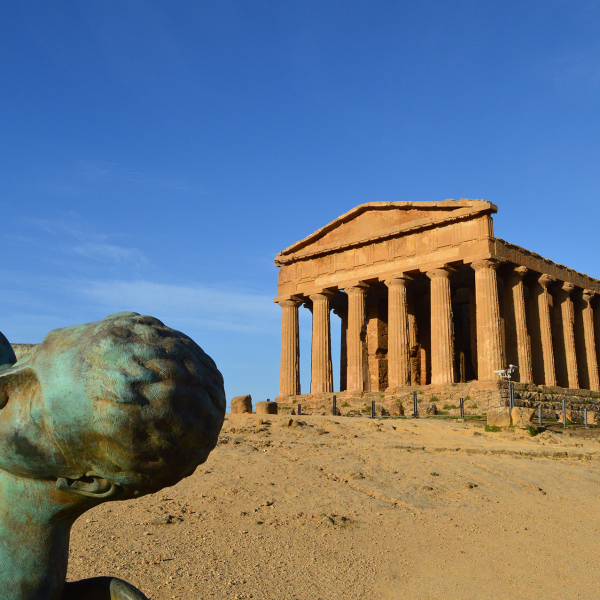 The Temple of Heracles is the oldest Doric temple in Agrigento and was built in the late sixth century BC. 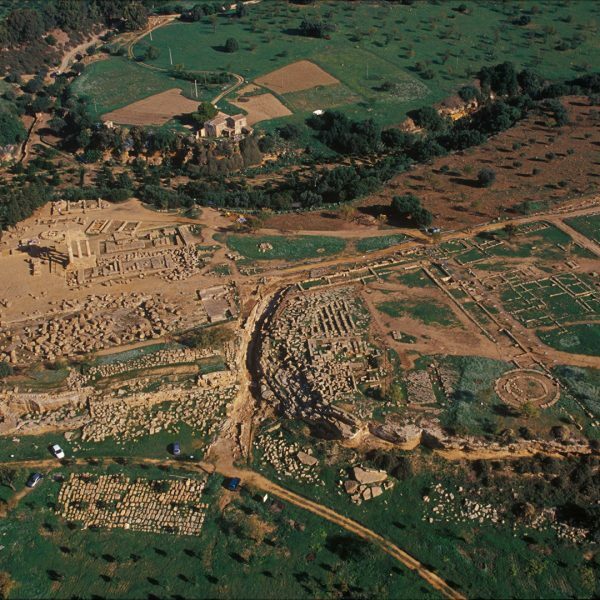 The area known as the Sanctuary of the Chthonic Deities is, in fact, the central part of a series of adjacent places of worship devoted to subterranean gods (in this case Demeter and Persephone) located alongside Porta V.
The Temple of Vulcan (Hephaestus in Greek) is located on the hill to the west of the Garden of Kolymbetra which separates it from the far south-west of the Collina dei Templi and the Sanctuary of the Chthonic Deities. 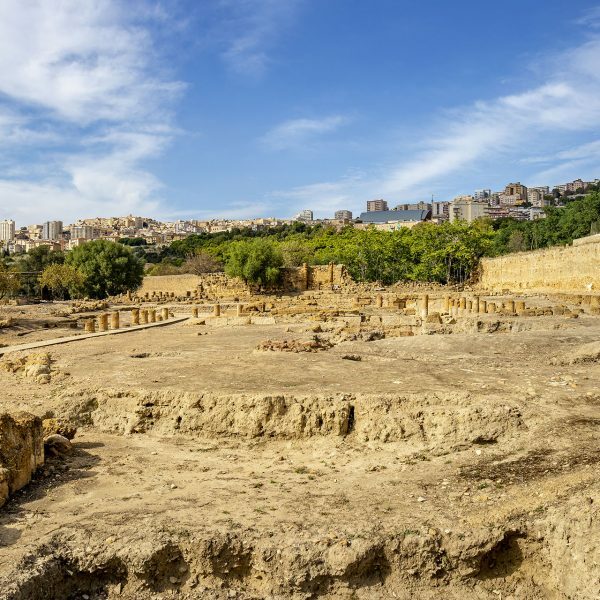 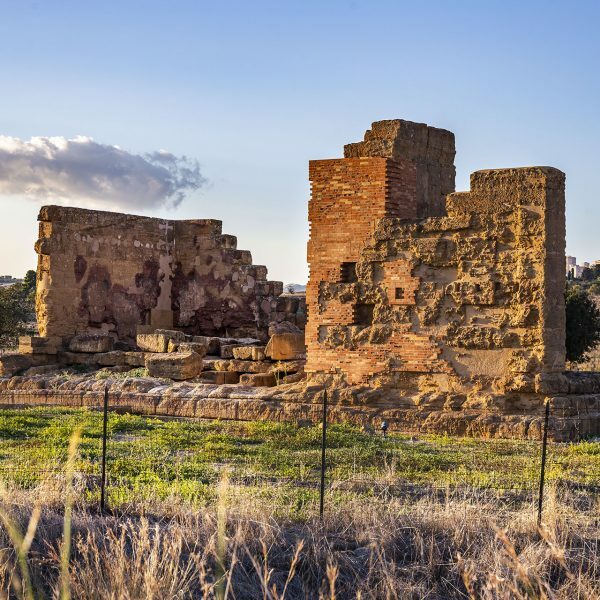 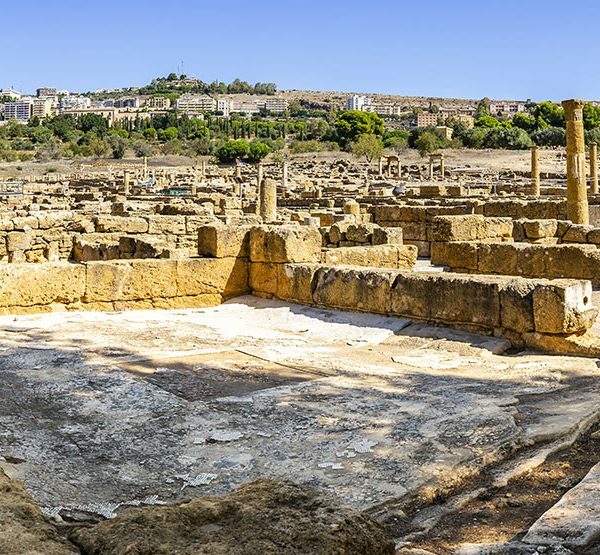 The rediscovery of the theatre after centuries of research was an epochal and long-awaited find for Agrigento. 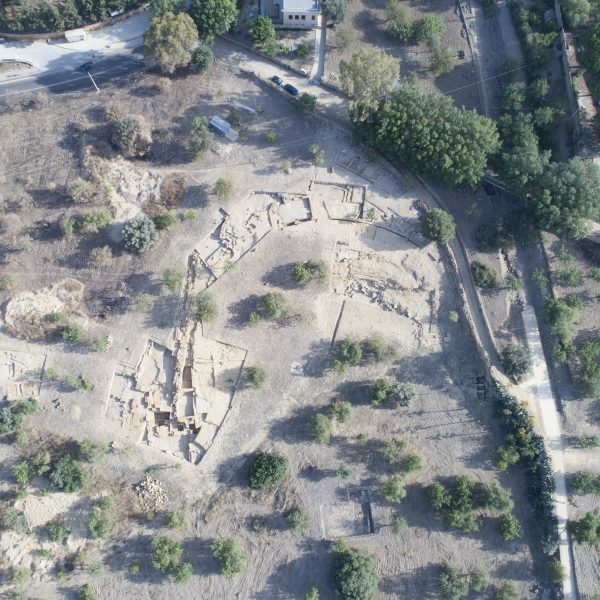 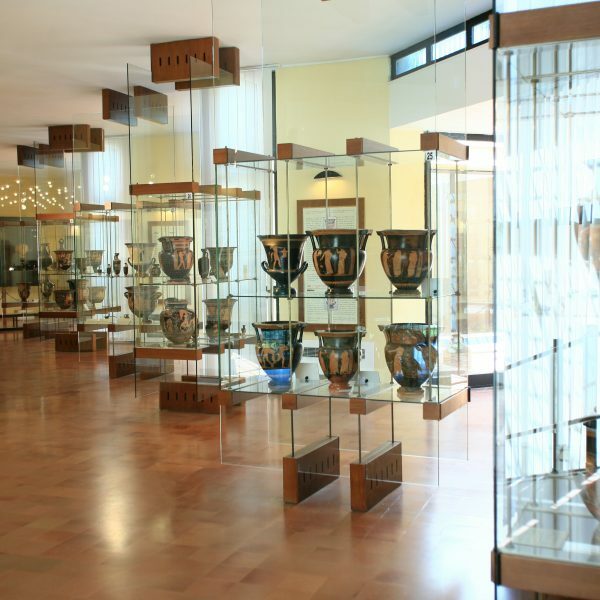 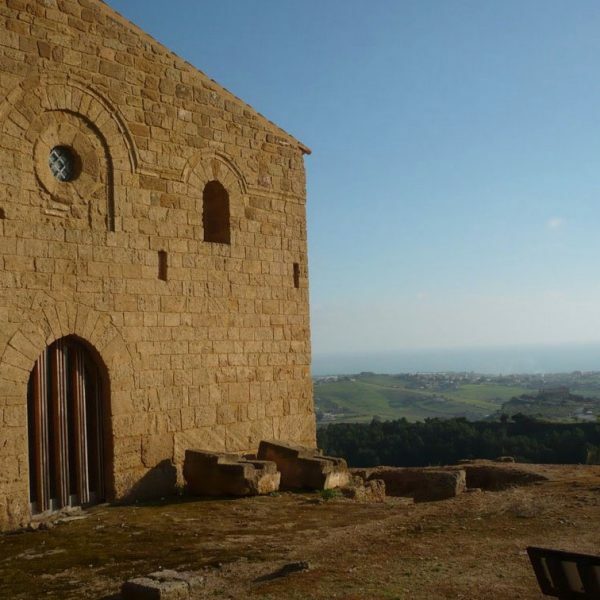 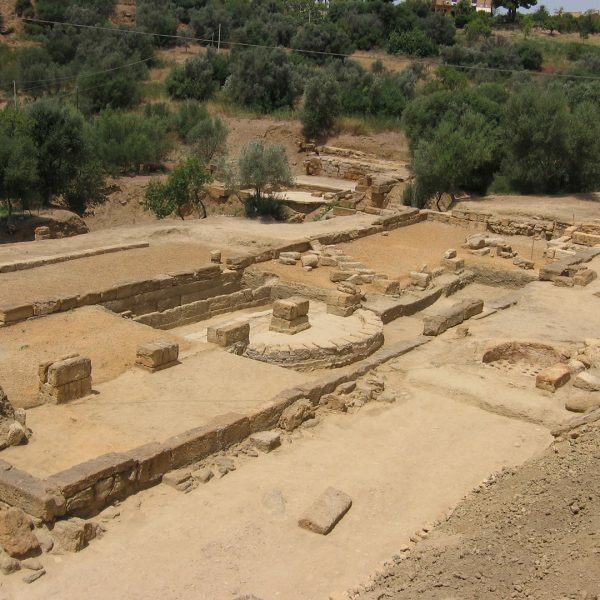 The Ekklesiasterion and so-called Oratory of Phalaris are found on the southern side of the hill of Saint Nicolas, in an area adjacent to the eponymous church and the fourteenth century monastery (now home to the Regional Museum of Archaeology). 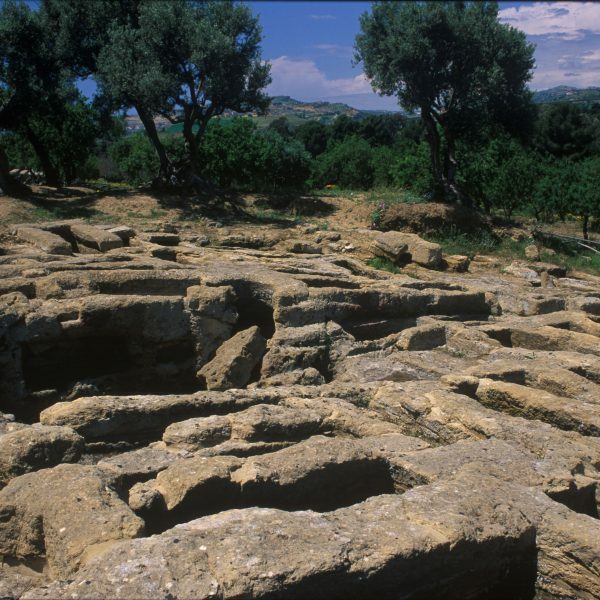 The Bouleuterion located on the northern terrace of the hill of Saint Nicolas was the chamber of the public house of representatives (Boulè in Greek) and was built between the end of the fourth century and the start of the third century BC. 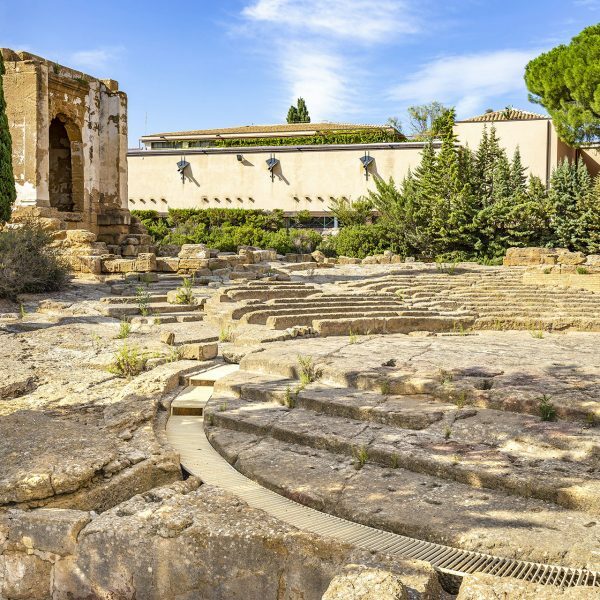 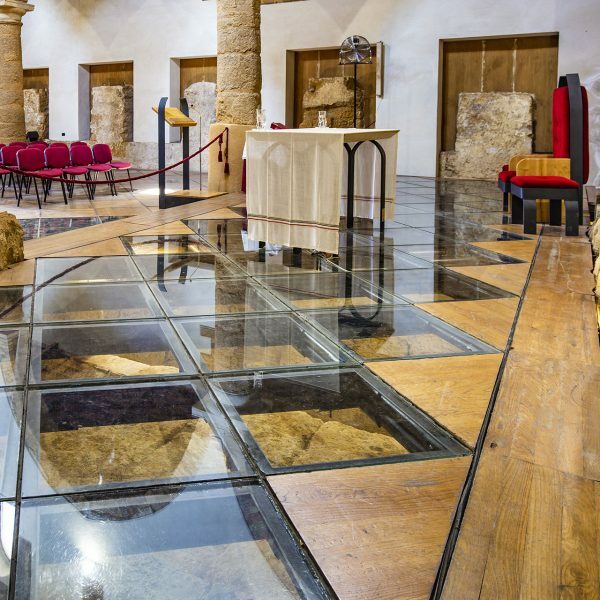 To the north of the fourteenth century Monastery of Saint Nicolas (now the Regional Museum of Archaeology) stands the Hellenistic-Roman Sanctuary, a small temple surrounded by a vast piazza with a portico. 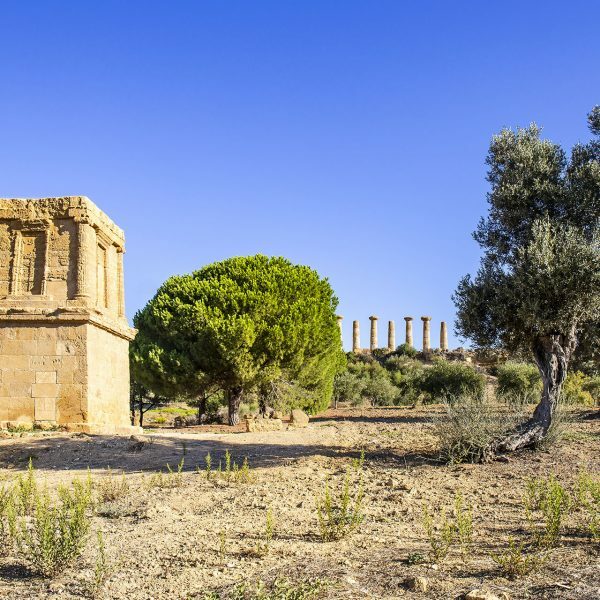 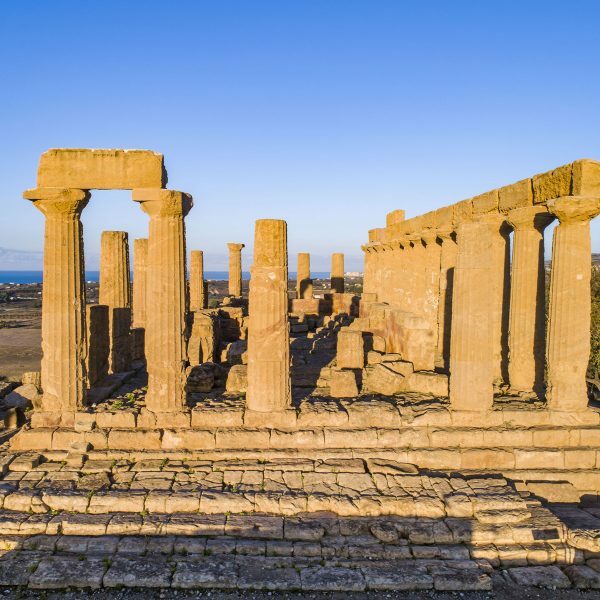 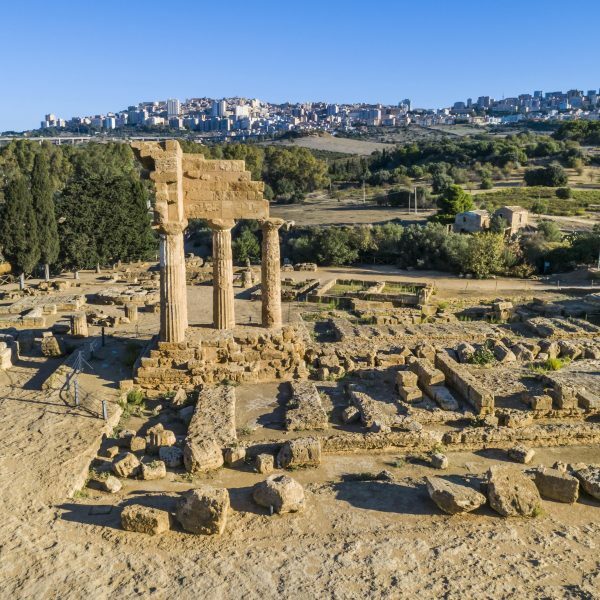 On the eastern slopes of Rupe Atenea, one of the two hills over which the city of Agrigento extends, stands the Temple of Demeter, built in approximately 470 BC.